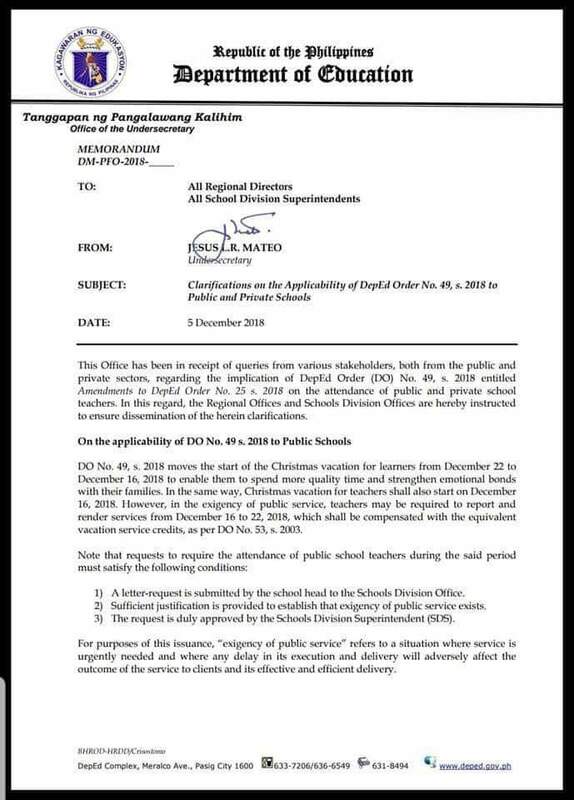 All teachers are entitled to have their vacation after December 15, 2018. (3) The request must be APPROVED first by the SDS. 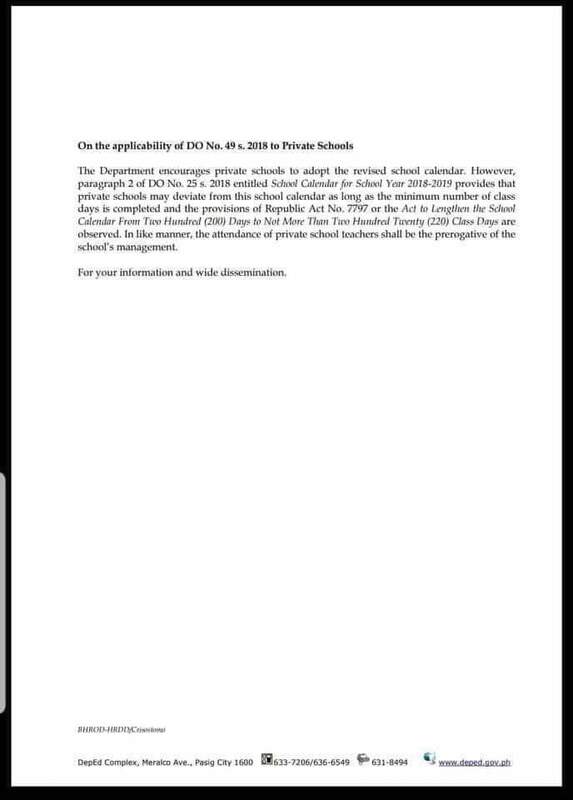 If any of the aforementioned requirement(s) is not accomplished, teachers must not be forced to report at all.